A DSLR camera is quite an investment, and it certainly isn’t one with which you would want to take risks. That means you want a way to keep that camera safe through a bag or a case. When you begin shopping for these items, you will find that there are so many different types you simply can’t choose the right one. You will find help below, though. These top ten camera bags are given their ratings because they are rugged and durable enough to protect DSLR cameras and equipment. 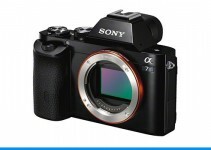 They are also easy to access and offer the types of features one would want in a quality camera bag. Before you go through this list, though, be sure of what you want in a camera bag. A number of different styles are included to help you make your decision, but think about how you would prefer to carry your equipment and the situations you will be carrying it into. A backpack is ideal if you want to carry the bag while you are taking pictures. A rucksack is preferred if you will be in extremely rugged situation. In these scenarios, you will most likely want the best tripod for stability of your shots too. Sling bags are ideal if you want something small and easy to carry. Once you have decided the style that suits you, then you can go through this list and choose the right bag for your camera. If you want something extremely durable for your camera equipment, then consider the Pelican 1550. It isn’t really a camera bag, but a case instead. And, it is designed to be water tight and even features a pressure equalization valve. In other words, if your camera is in this case and it falls in even deep water, it won’t get damaged. 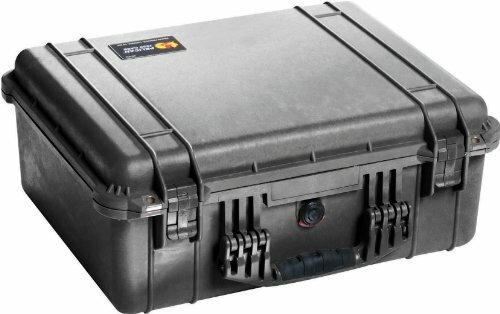 The Pelican case features pick and pluck foam for the perfect fit. In other words, you can actually change the foam to fit your equipment specifically, giving soft ride even in rugged situations. And, the bag comes in several different colors. Some people don’t want a large bag to carry around because it seems to cumbersome. 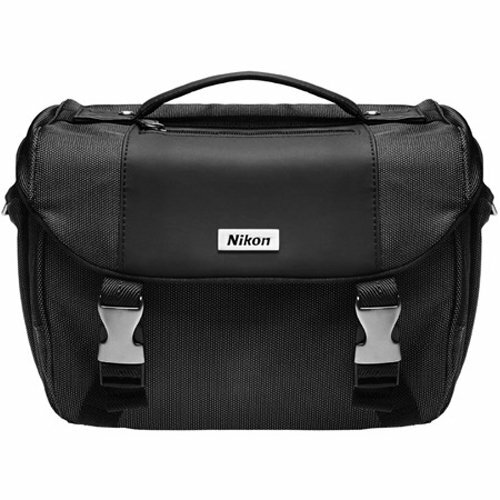 In that situation, the Nikon Deluxe Digital SLR Camera Bag can be a good option. This soft sided bag can be used to carry one DSLR camera and gadgets like lenses, filters, and cleaning kits. Or, it could be used to simply store extra lenses and tools required for all types of photography. This camera bag is small enough to easily carry it on a flight too if you are traveling. It will easily work as a personal item to store under the seat. That means peace of mind knowing your camera is safe even on long flights. Backpacks are often preferred camera bags because they are easy to carry while photographing at the same time. This is an extra large bag that leaves plenty of room for a full sized DSLR camera, additional lenses, hot shoe flashes, and other items. Interior dividers can be moved around for the perfect fit. 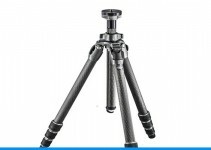 A tripod holding system is also located on the side of this durable bag. Additionally, the backpack straps have small carrying pouches for extra SD cards that you can easily access while photographing. This is more of a basic carrying bag that’s designed to hold one DSLR camera and its extra equipment. It features inside dimensions of 7.5 by 5 by 5.5 inches, making it very small and compact. To side pockets can hold extra batteries or flash cards. 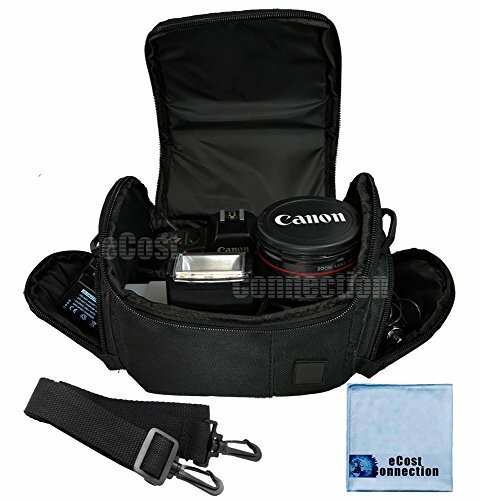 The camera bag also includes a carrying strap with a comfort cushion design. If you choose this bag, make sure you understand that you will need to take apart your camera to store it. There is a spot, though, for the camera lens, body, and hot shoe flash. For a very rugged bag, then consider this one. It features an all-weather cover that protects the bag and the equipment inside as well. In addition to the comfort strap, this bag includes belt loops so that it can easily be carried around the waist. The inside compartment is ideal for a DSLR camera and a front accessory pocket can hold batteries, SD cards, and even keys. 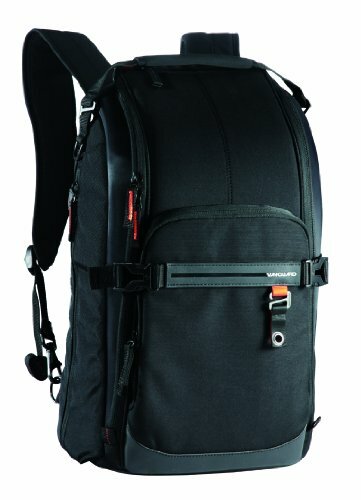 Another backpack, this model is designed for fast access to the camera itself. The side access pocket holds your DSLR and it’s lenses top storage includes dividers that can be moved for customized storage. It features an all-weather cover built in to protect all equipment, and rear storage is designed to hold a small laptop or tablet. The adjustable straps are connected with a waist belt and chest strap to keep the bag safely on your back even when you are taking pictures in rugged conditions. The straps are also padded for the utmost in comfort as well. This bag works like a combination of a backpack and a sling bag. It features a reversible strap for easy carry no matter if you want it on your back or over your shoulder. Dividers placed throughout the bag can be moved for a customized fit. In addition, it has a removable compartment to hold the camera, two extra lenses, and a hot shoe flash. There is space inside the case to hold batteries and SD cards too. This extra durable bag is made from canvas and eco-friendly materials. In addition to space for a camera, lenses, and accessories, this bag has pockets for a small laptop, a miniature tripod, cell phones, and even a carafe. 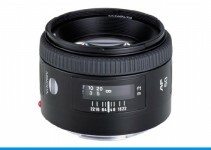 It is big enough to hold a DSLR camera and lens as well as three backup lenses too. All dividers are removable and movable for customization to all spaces. All areas are padded for the best protection of the equipment kept inside so you don’t have to worry about jostling the camera and lenses even when you are traveling over rugged terrain. If you spend a great deal of time taking pictures outdoors in rugged conditions, then this is a bag to consider. It is small and can hold a DSLR camera and lens as well as one backup lens and a variety of small accessories like memory cards and batteries. The fabric on the outside of the bag is water resistant and will protect interior items from damage even in rain showers. Shoulder straps are padded for the utmost in comfort while wearing the backpack style bag so that you don’t even have to take it off when photographing. Designed to offer the utmost in truly rugged style, you cannot go wrong with this bag. It is made from extremely durable material that includes a waterproof coating. 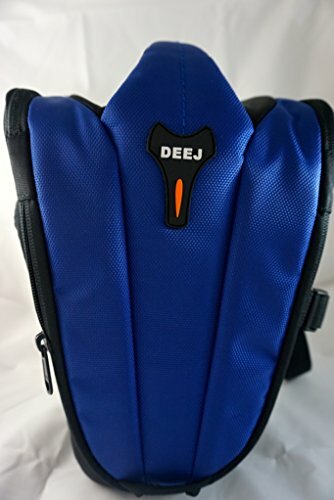 Shoulder straps are padded and adjustable, and the bag includes a quick release system. Side zipper pockets and a mesh pocket provide storage space for smaller items and the main compartment is divided for a camera and larger accessories. 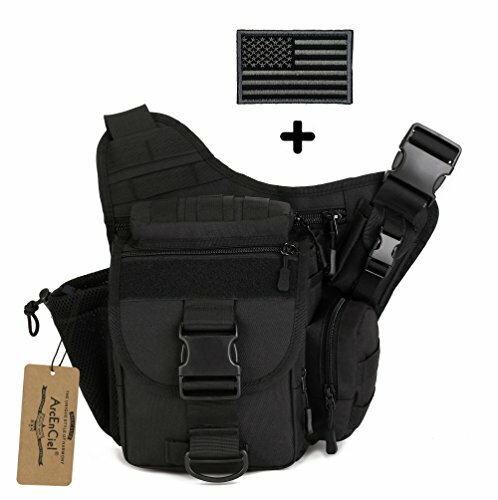 This bag is made for very rough situations like hiking and camping, war games, and other outdoor activities. While this bag is advertised mainly for men, it can be used by anyone who wants the most durable protection for their equipment possible. If you have a DSLR camera, you need to know that it is safe and protected no matter what elements you expose it to. This list of ten of the best camera bags includes a wide variety of types so that you can find one that suits your preference and that will do a good job protecting your camera and equipment. Whether you want a backpack, a hard case, a carry bag, or even a rucksack, you will find the best option here.